Welcome to my very first tutorial! 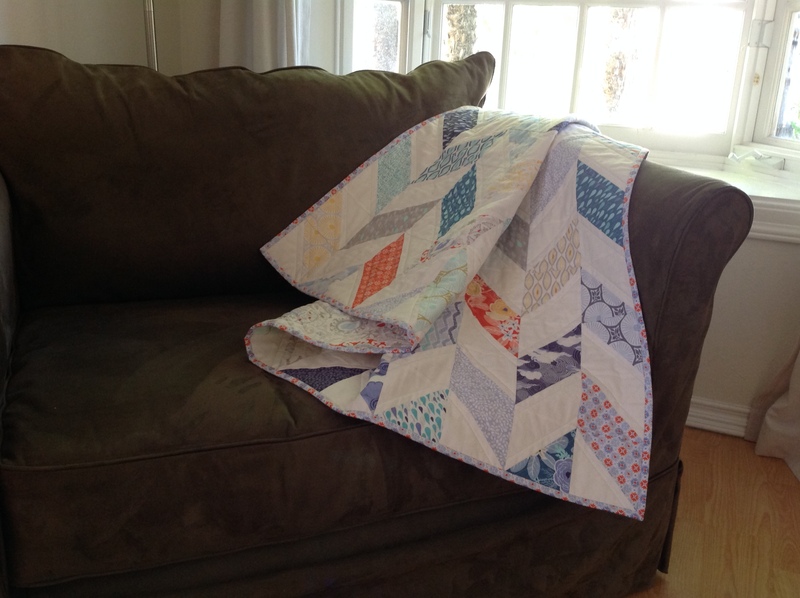 I have a lot of non-quilty friends and family that ask me if I can teach them how to make a quilt. I’d love to personally teach every single one of them, but somehow we never seem to be able to carve out enough time for lessons. 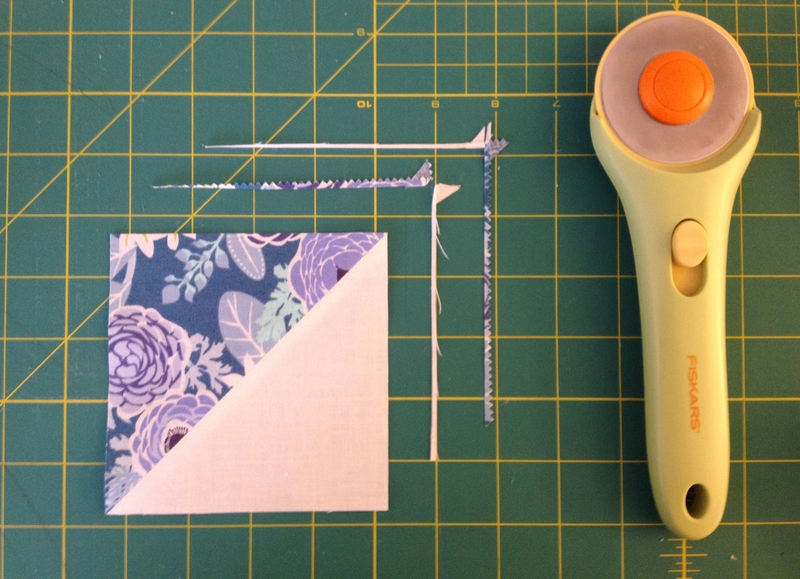 I initially intended to write this tutorial as though I was teaching someone who has never made a quilt before, but quickly realized this would turn into a book, with all the details about quarter inch seams, etc. 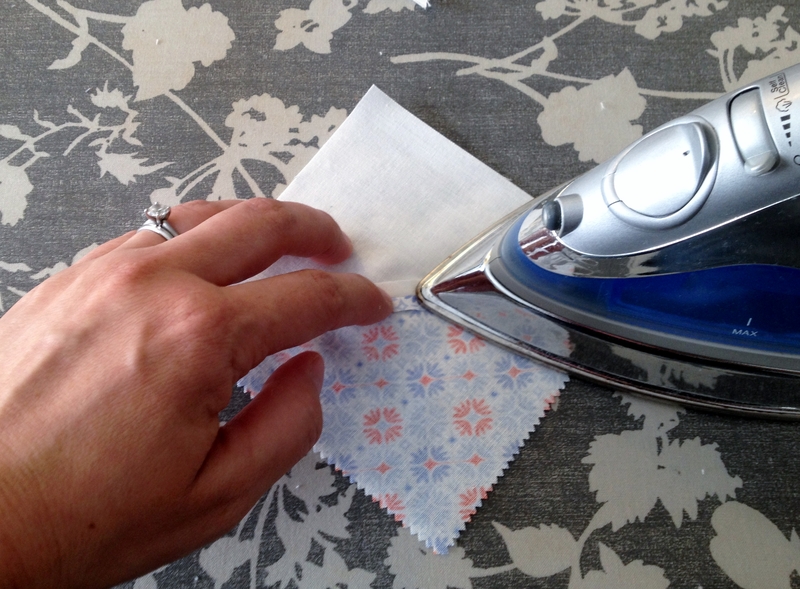 Instead I’m writing this as a tutorial for those who know the basics of quilt making. At the very least it will familiarize my other friends and family the steps for making a quilt so that when we finally sit down for a lesson, it’s not completely foreign to them. 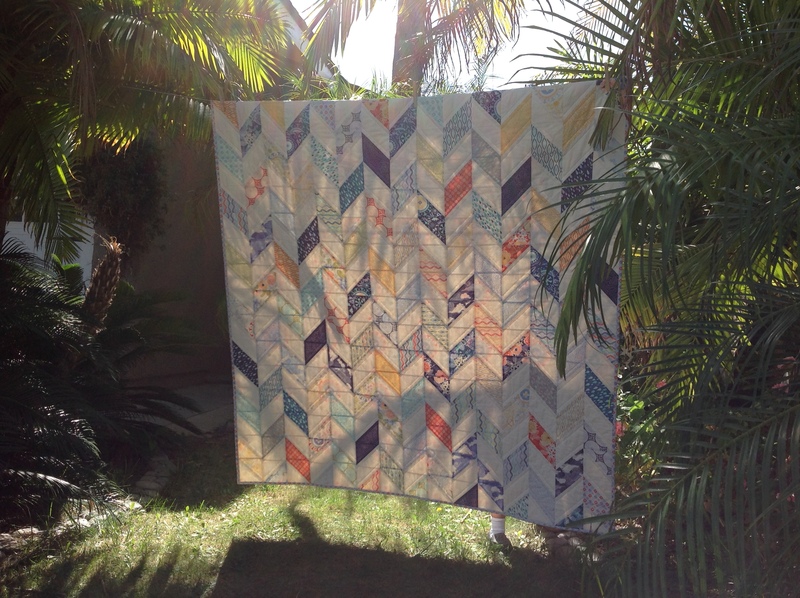 For this quilt, I used 3 charm packs (5″ squares) of Sunnyside by Kate Spain for Moda and for my neutral background fabric I used Kona Cotton in Ivory. If you go the charm pack route, be sure to check the number of fabric squares you get per pack. They vary anywhere from 25-42, depending on the company that makes them. 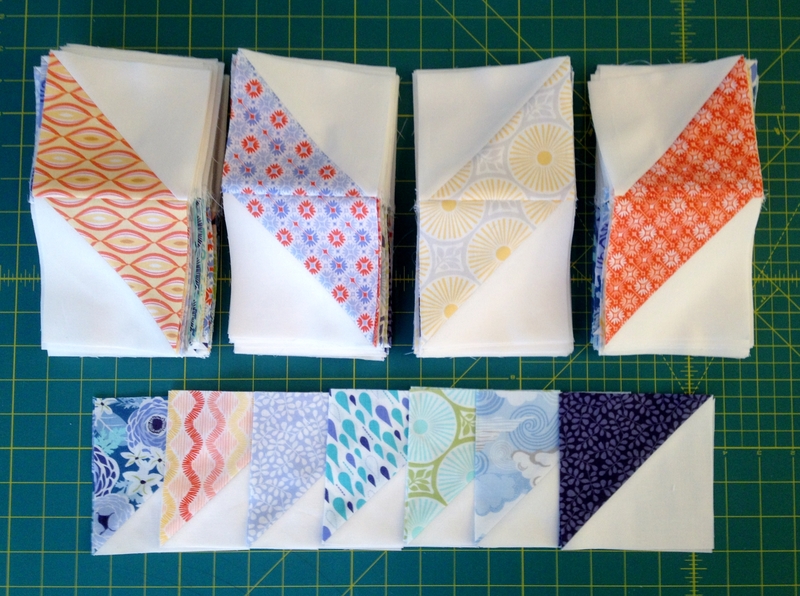 Feel free to use a variety of fat quarters or cut from your yardage. Better yet, dig out your scraps. 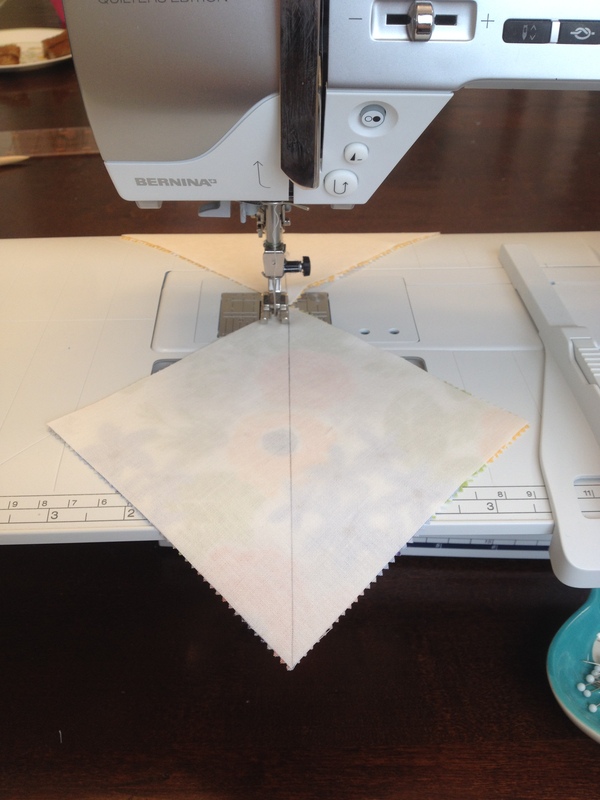 After you’ve cut your squares, mark your neutral fabric diagonally. I used a pencil but find a ball point pen to work well if you’re using darker fabric as your neutral. 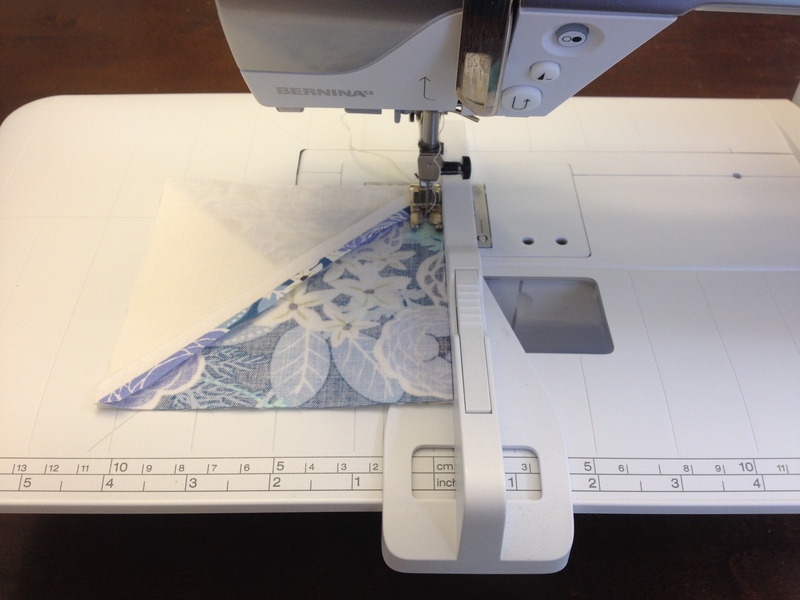 You will later be cutting on that line, so it won’t show in your quilt top. 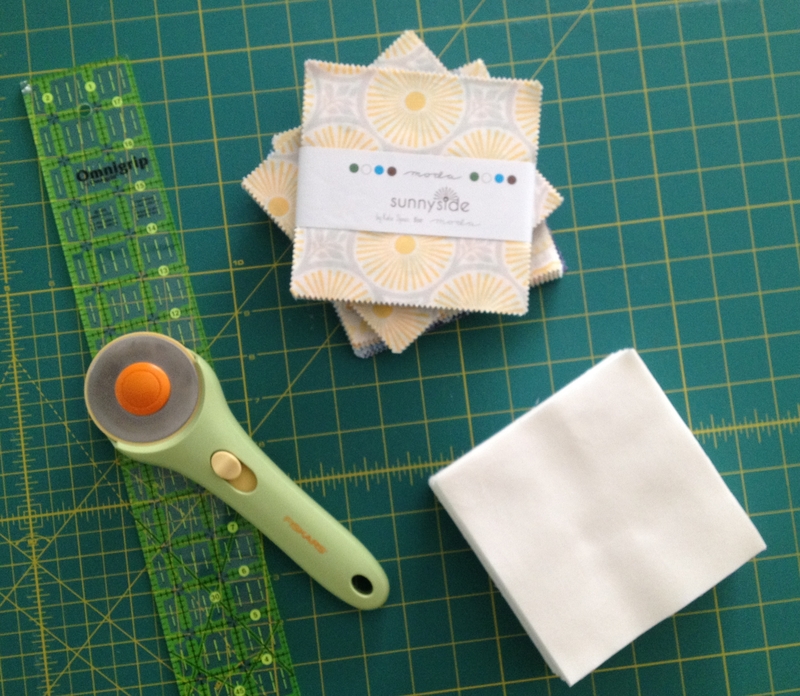 Note: The best part about pre-cuts (like a charm pack) is you can practically jump right into sewing. 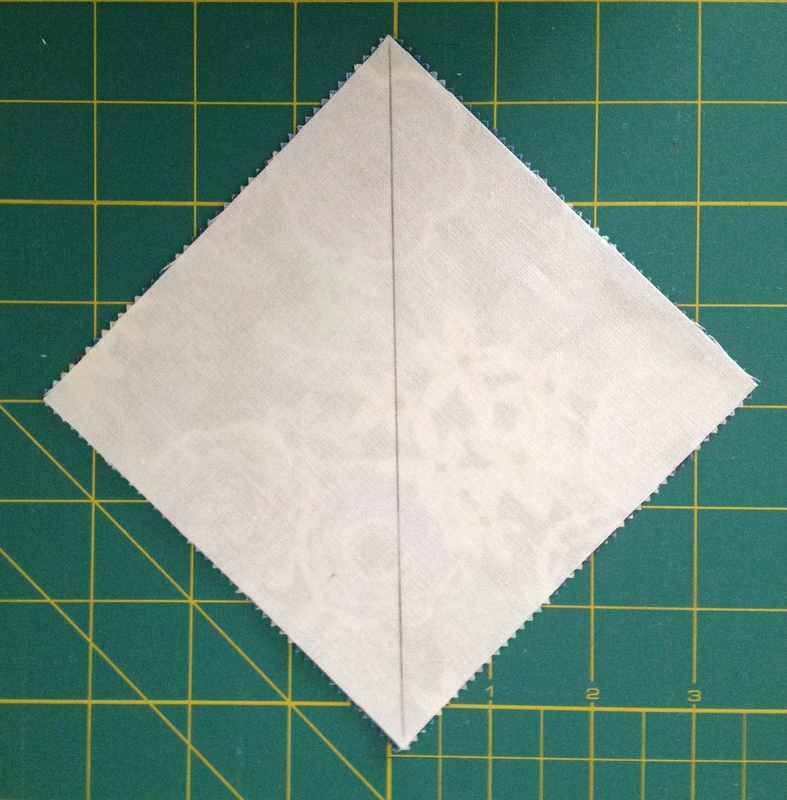 The part I’ve found most awkward when I first started using pre-cuts are the pinked edges. I never knew if I should measure my quarter inch from the peak or valley of the pinked edge. Thankfully for this pattern you won’t need to worry too much about the pinked edges because it will all be trimmed anyway (if you look closely in the photo on the right you can see the pinked edge peaking out from under the neutral fabric). After you’ve marked all of your neutral fabrics. 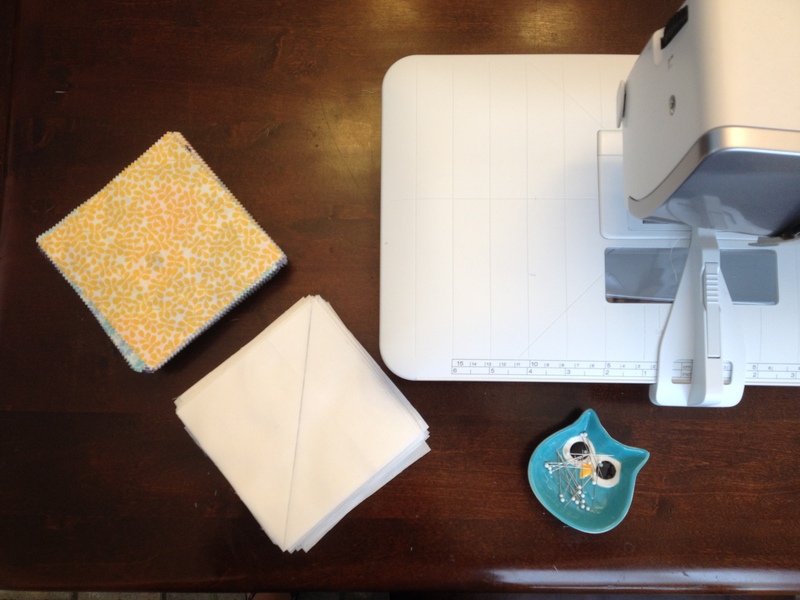 take your stacks to the sewing machine and let’s get sewing! Grab a marked neutral and stack it on one of your prints. 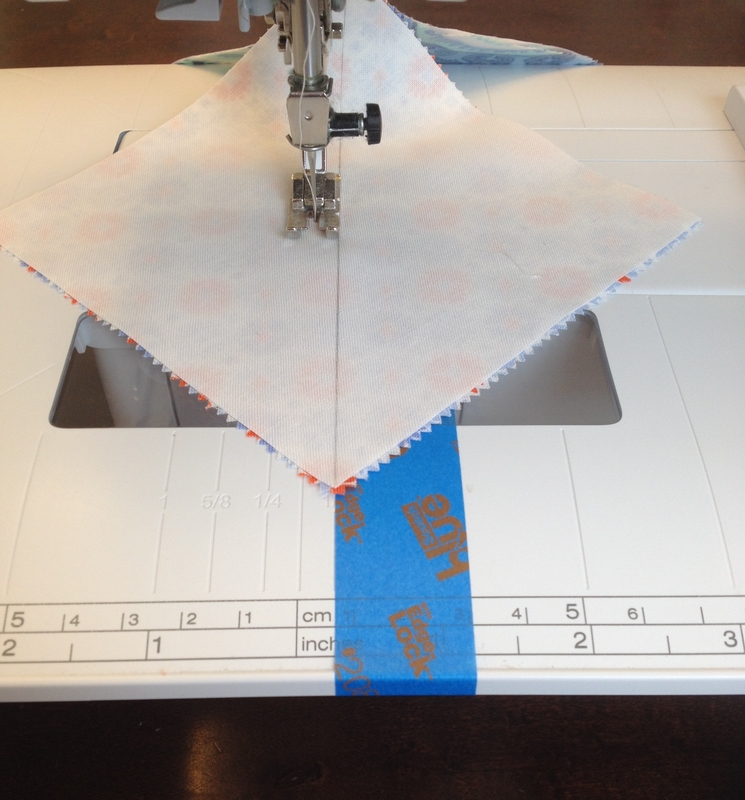 You will be sewing a quarter inch on each side of your marked line. 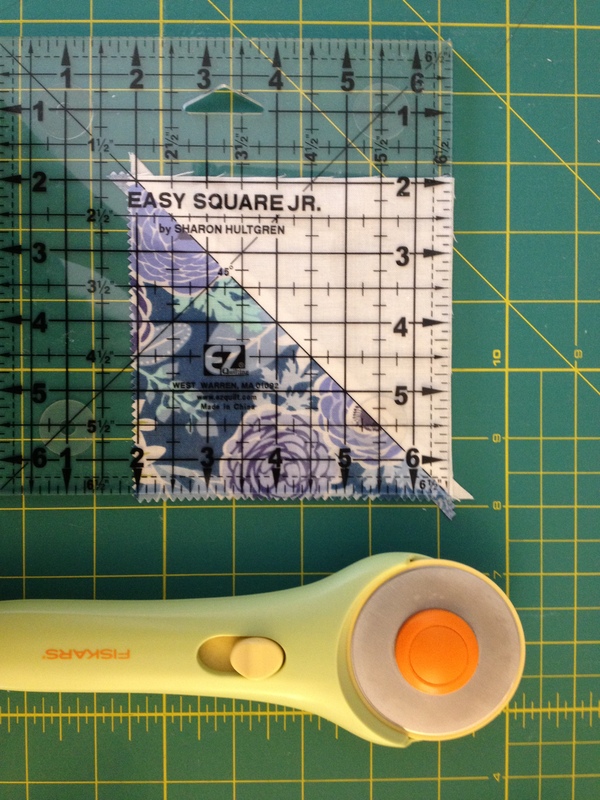 I’m using a 1/4 inch foot so it’s easy for me to use that as a guide as I sew on each side of the line. 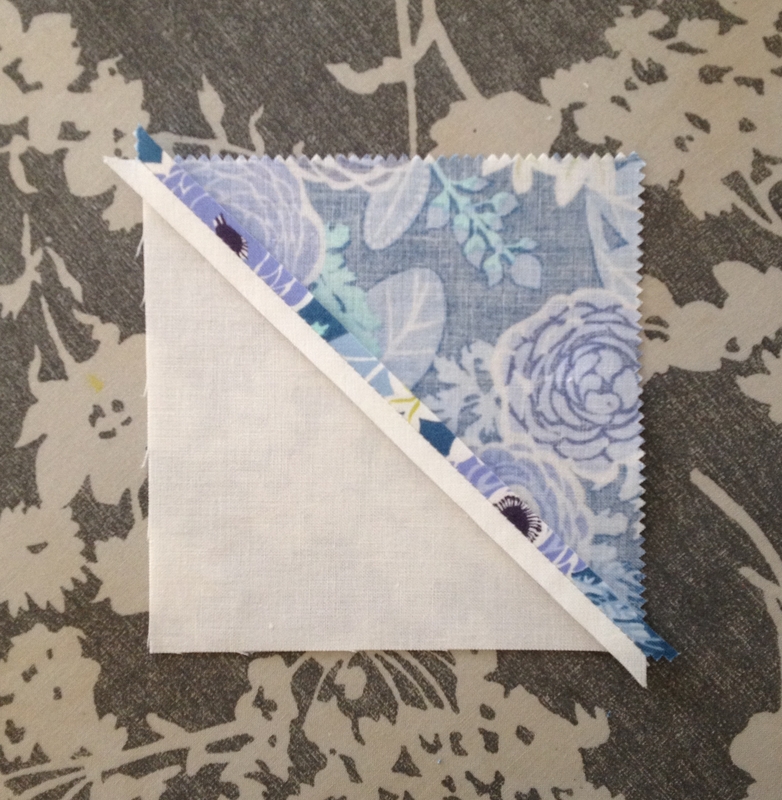 But I learned an even better trick from a YouTube video Camille Roskelley put out for one of her Craftsy classes. You can find the video here. She uses Frog tape (or painter’s tape) as a guide. It’s easier for my eyes to line the corner along the edge of the tape, rather than watching the presser foot. Use whichever method works best for you. 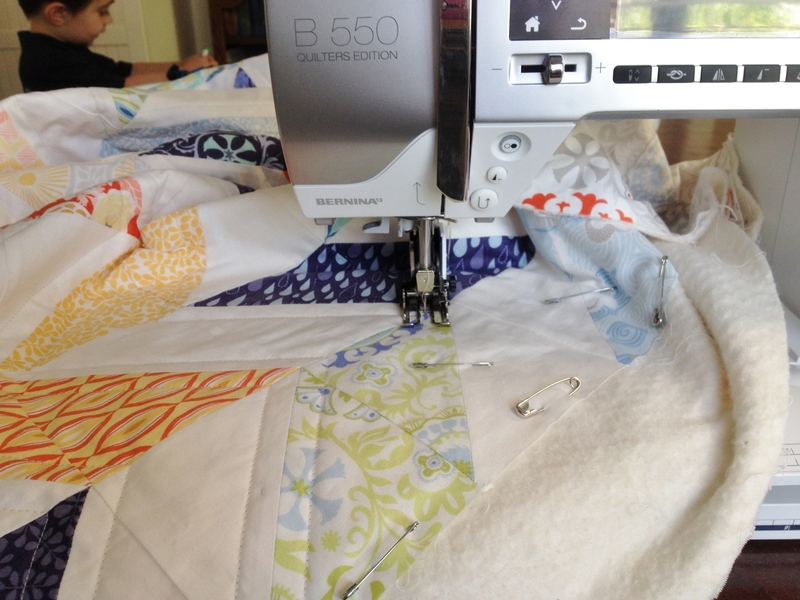 I’ve learned there are so many different methods in quilting and we all have our preferences. I chain pieced along the left side of 1 whole charm pack at a time, flipped my chain around and sewed along the opposite side. 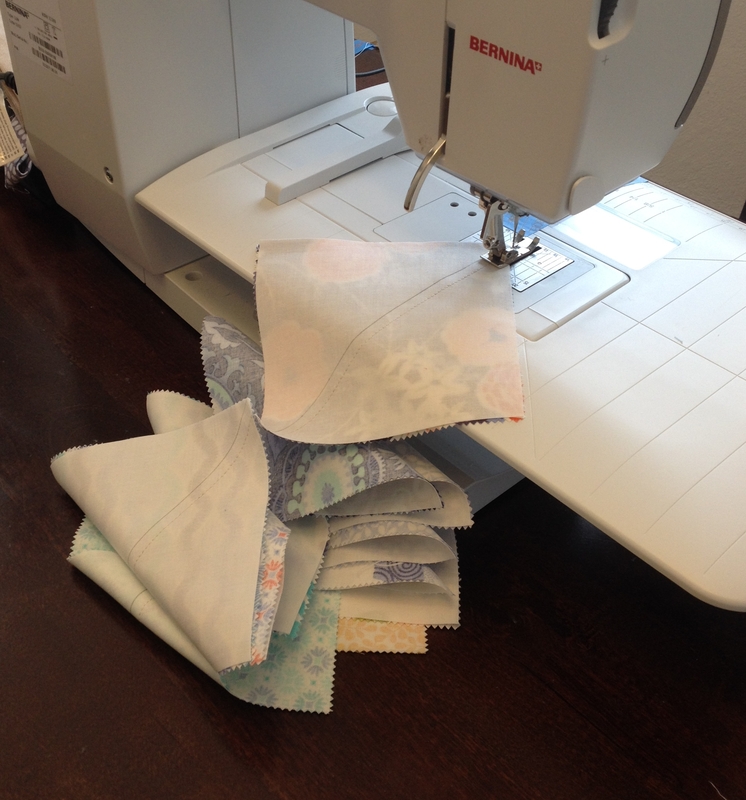 Then take your stack of sewn sets and cut down that center line. 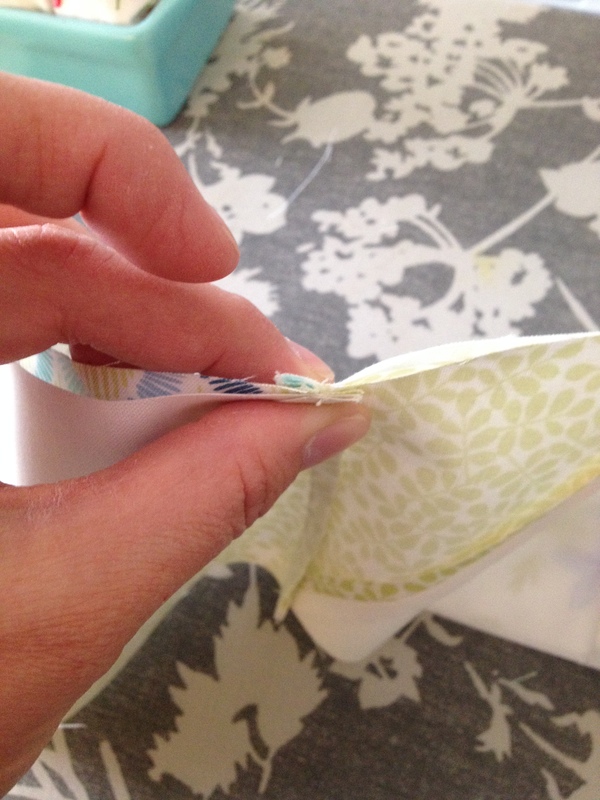 I prefer pressing my HST seams open but press to one side if you prefer. 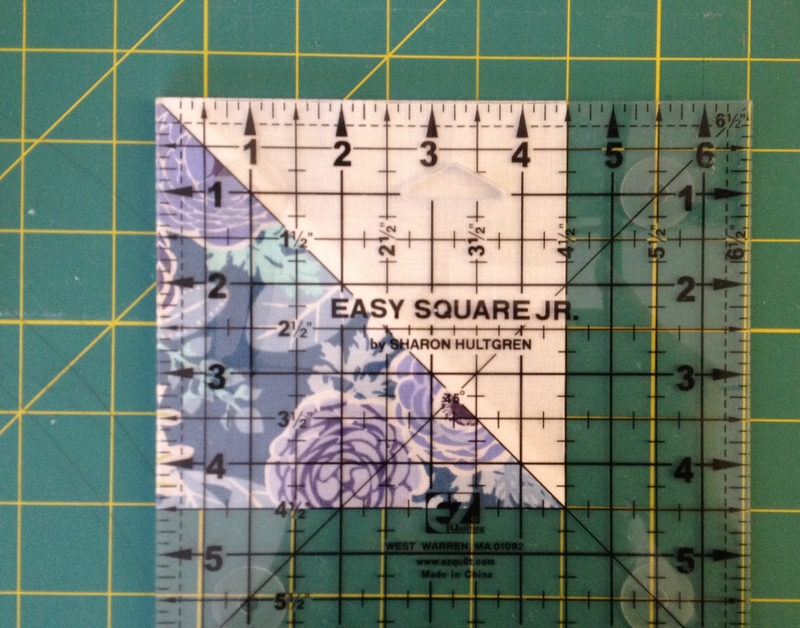 You’ll have 120 sets (240) half square triangles (HST’s). 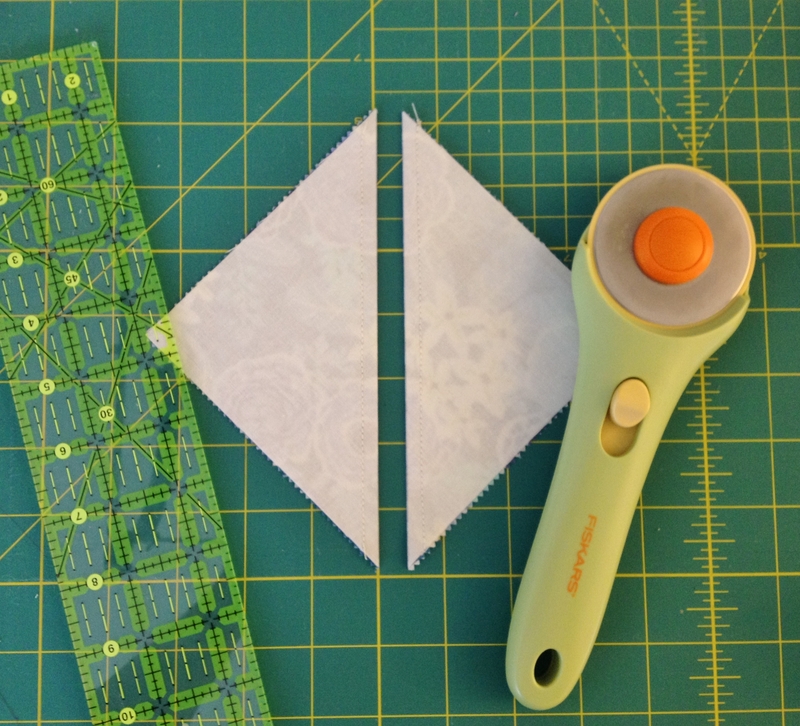 Once you’ve pressed all of your HST’s, trim them down to 4 1/2″. 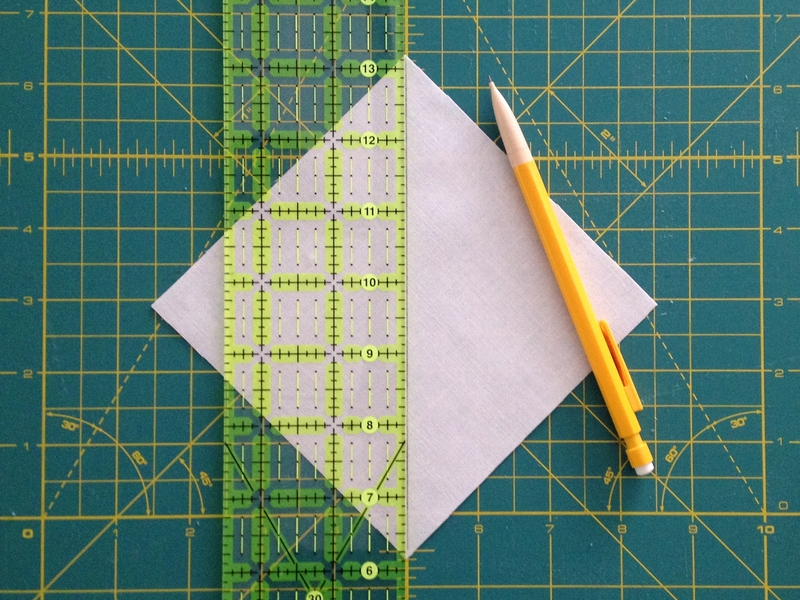 Line the diagonal marking on your square ruler along the diagonal of your block. Trim 2 sides, flip over and trim the other 2 sides. 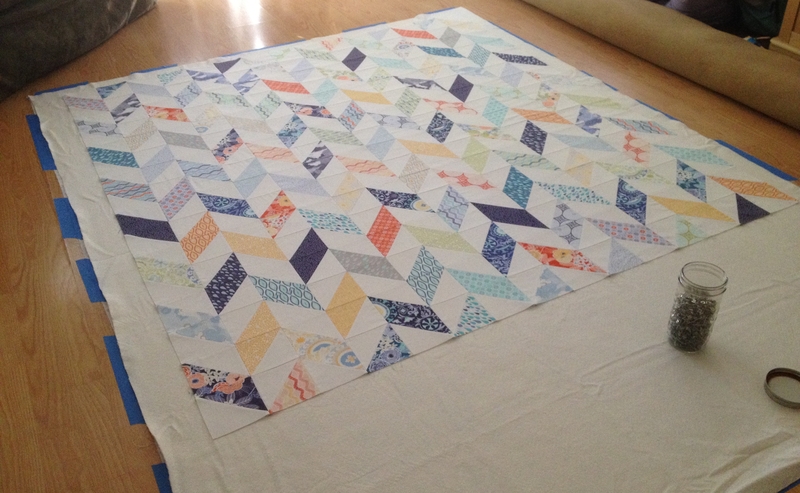 I love making my HST’s slightly larger and trimming down because it perfects my imperfect piecing skills. 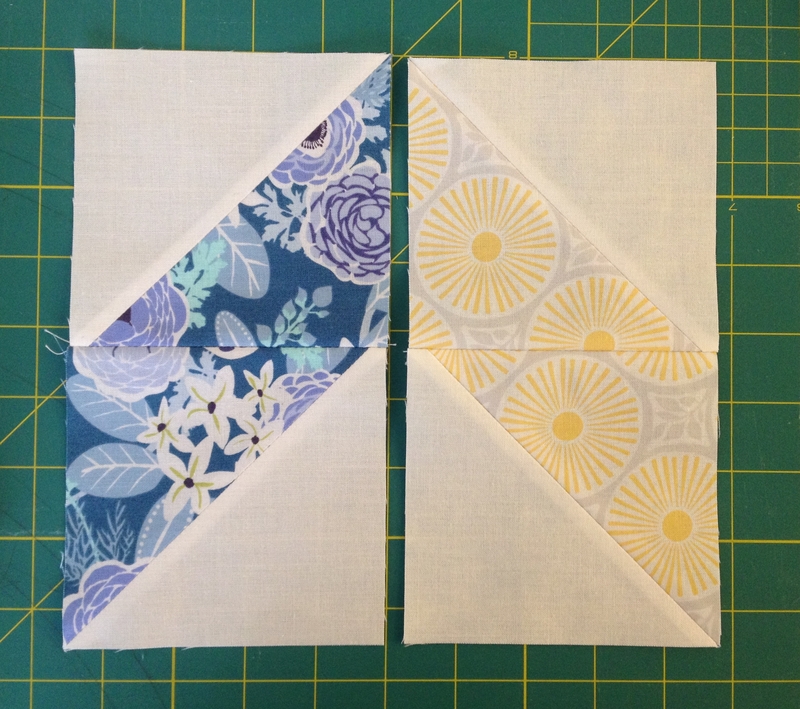 From each set of HST that you cut apart, you will be making a block like this. 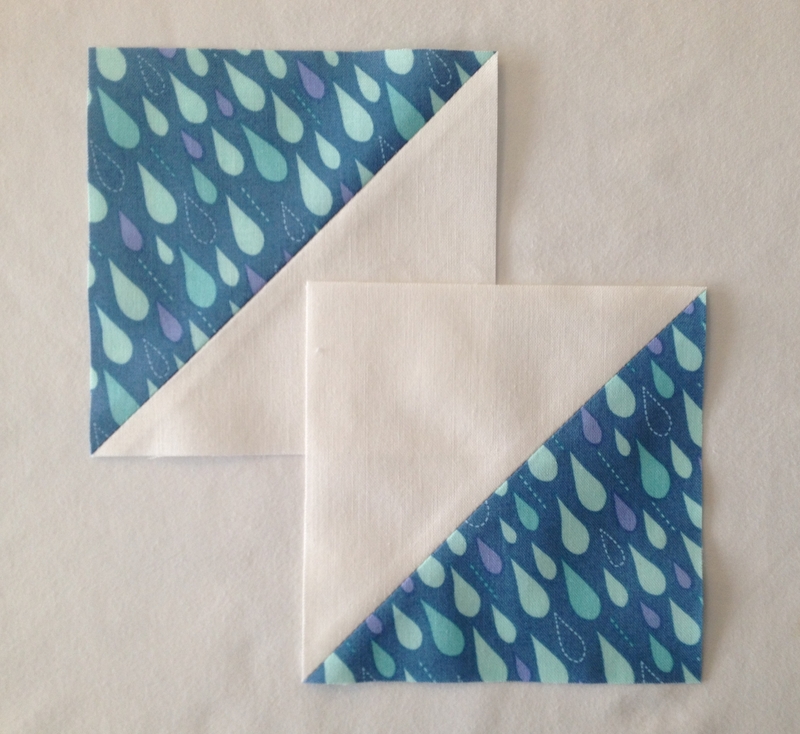 Join the 2 HST’s with a 1/4″ seam allowance, making a rectangular block. 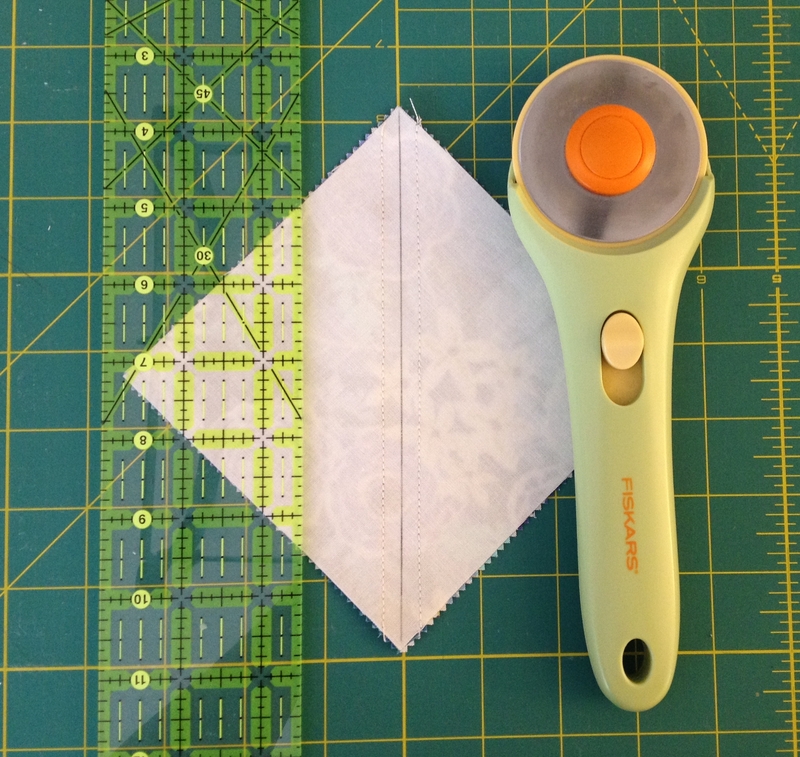 I have a great tool to help me line up my 1/4″ seams, but painters tape will work great too. Before I had this newer machine, that’s how I marked my 1/4″. You will be making 49 blocks facing the direction of the blue block and 64 blocks facing the direction of the yellow block in the photo below. You will also need to pull aside 7 sets (14 HST’s) that you will not be joining. The bottom row shows the 7 sets of HST’s you won’t be joining. Here is the fun part (and the hardest to photograph). Now you get to play with the layout. My makeshift design wall is the fuzzy backside of a plastic table cloth. It was not big enough for this project so I had to play with the layout on my king size bed. I was not able to squeeze it all in 1 photo. I think my next big project will be figuring out how to make a design wall that I can put up and take down easily. My cheesy illustration on the above left photo shows you the alternating columns. 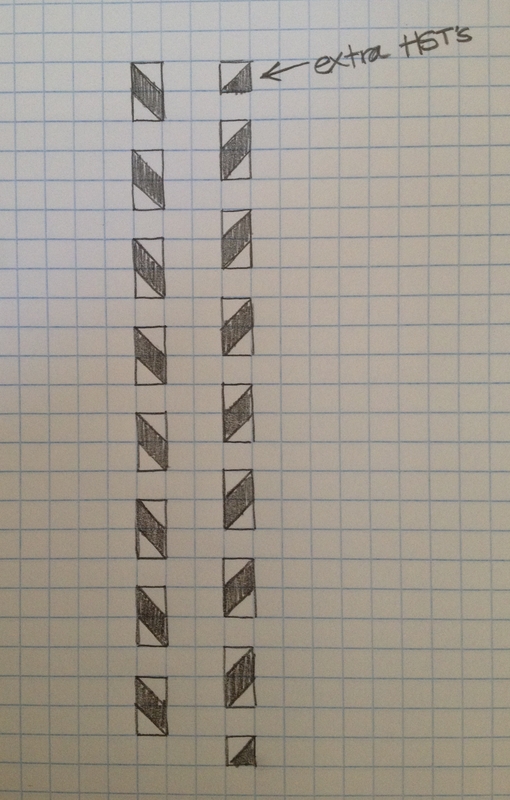 You will make 8 columns like the one on the left and 7 columns like the one on the right. I really wanted a scrappy and random look so I didn’t play too much with the layout. I did try not to have similar prints next to each other and wanted the few dark blocks spread out, but other than that it was a pretty random layout. 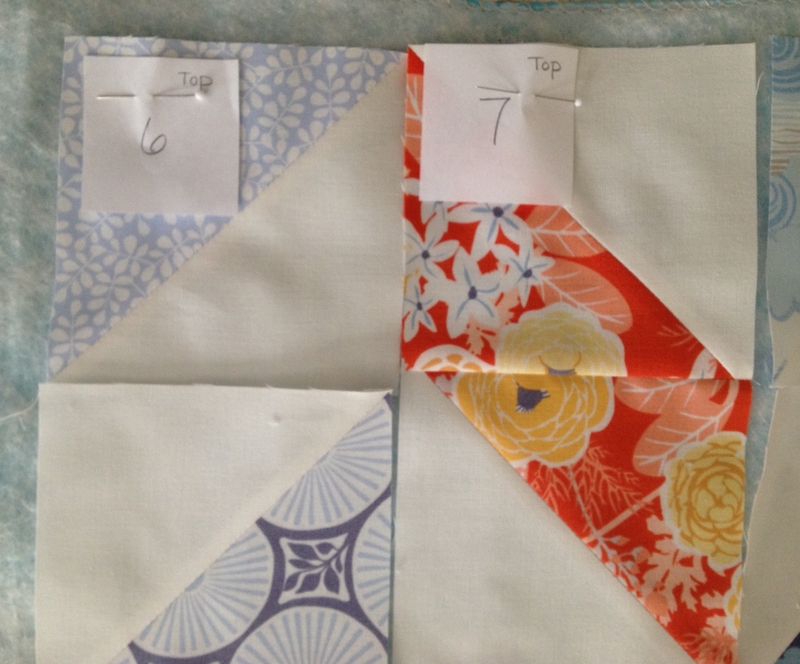 Once I had a layout I liked, I marked my columns before gathering them for sewing. I stacked my columns and put them on 2 trays to be taken to the dining table where my machine is set up. I bought these baking trays 2 years ago for actual baking. I didn’t realize till I got home that they were too big for my tiny 1970’s oven (yeah, it was that small!). 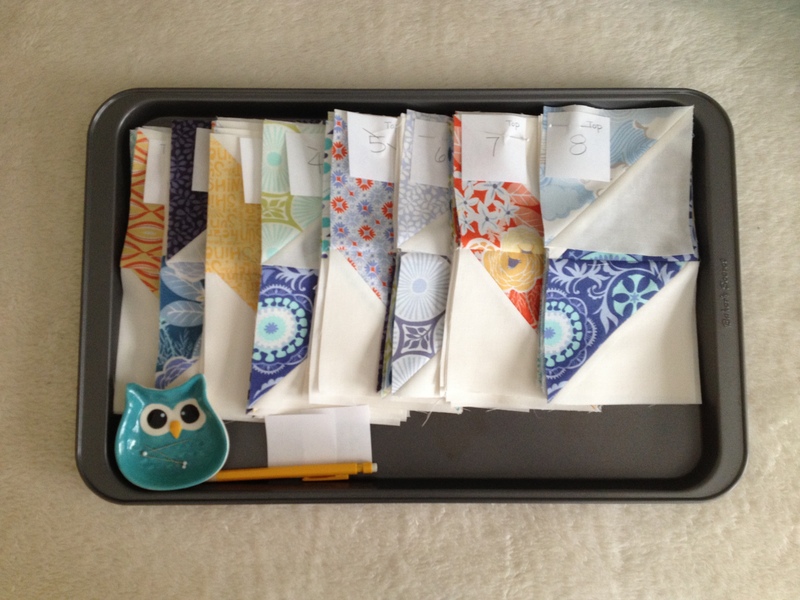 I’ve since moved and have a bigger oven but these had already been turned into a useful quilting tool. I love that I can pick up and move my blocks when it’s time for clean-up. 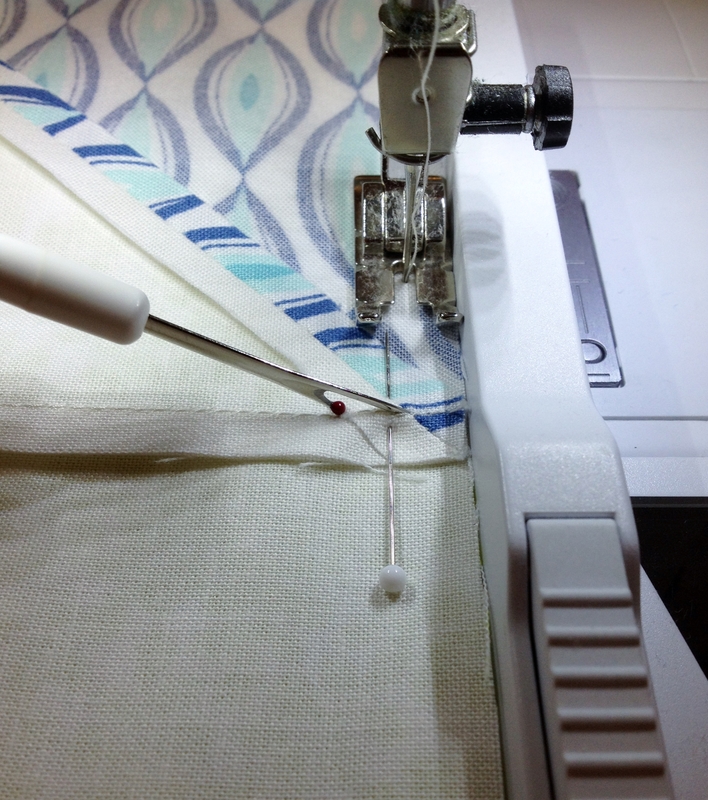 Sew your columns together using a 1/4″ seam and press the seams so that each row they are going in opposite directions (of course I forgot to take pictures of this step). 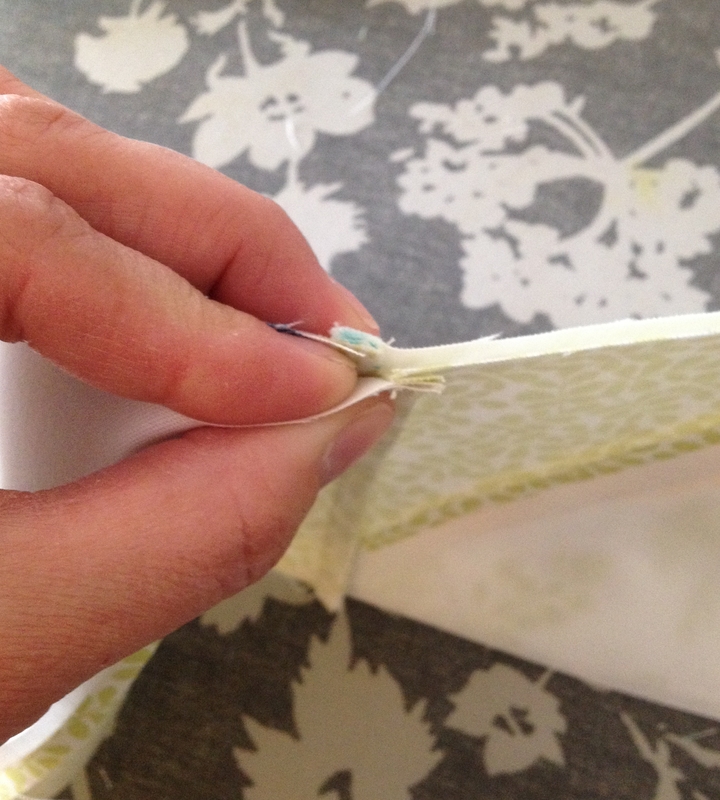 Joining columns together will be much easier when you can lock the seams together (photos below). I generally don’t pin much until it’s time to join rows. 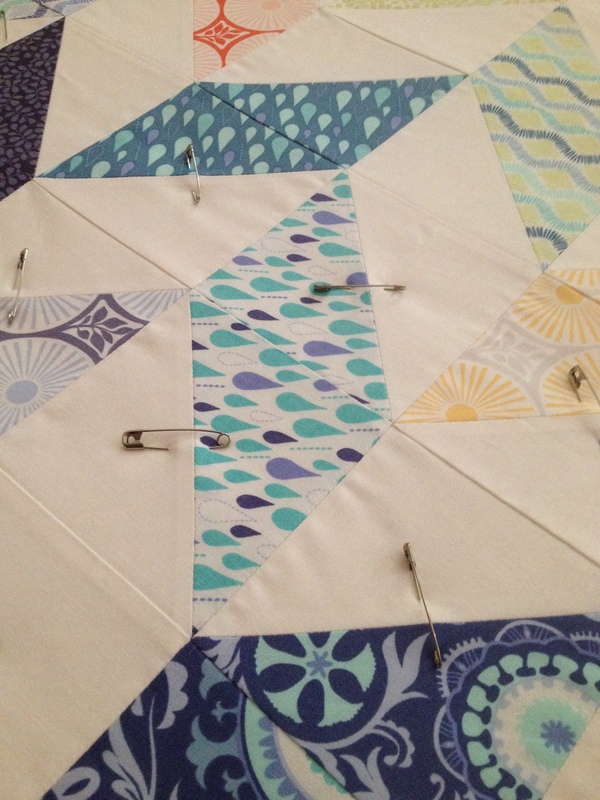 Join columns 2 at a time, then keep joining the sections (pressing as you go) until your top is complete. 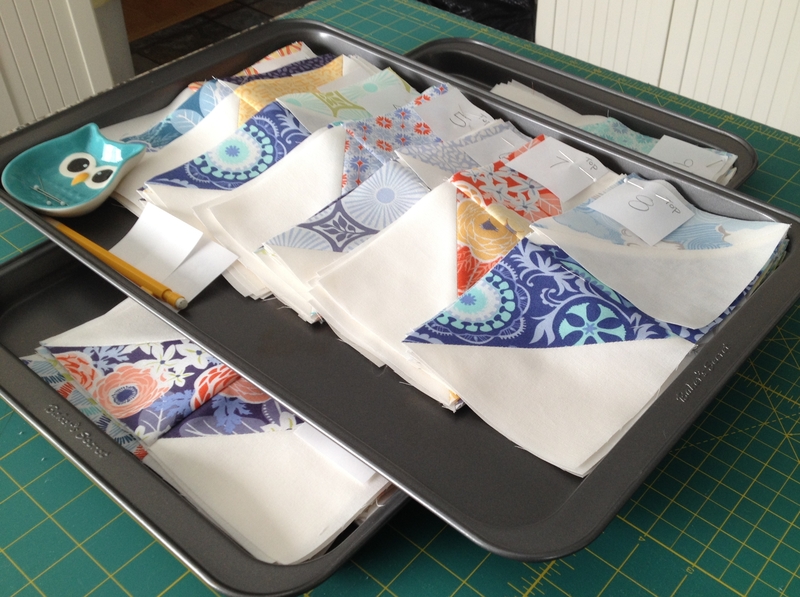 Use your favorite basting method for your quilt sandwich. I like to use safety pins. Quilt as desired. 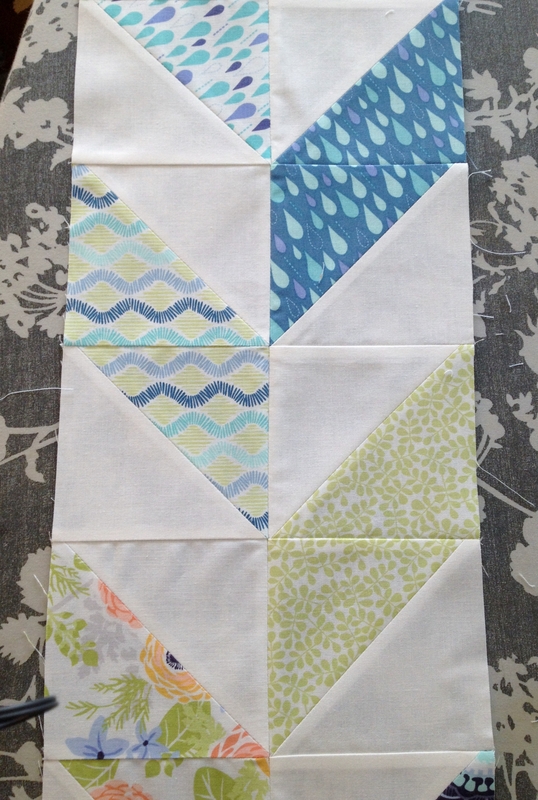 I used straight line stitching in a chevron pattern, following the lines of my blocks. It’s a simple design, but something I’m most comfortable with on a quilt this size. 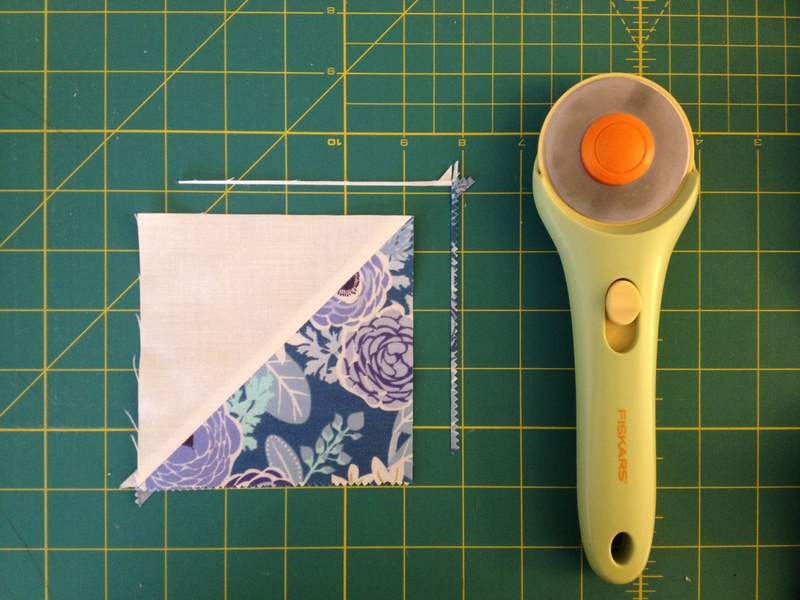 Use your favorite binding method and done! Now for probably too many pictures…. Hello, I have a question about your instructions. 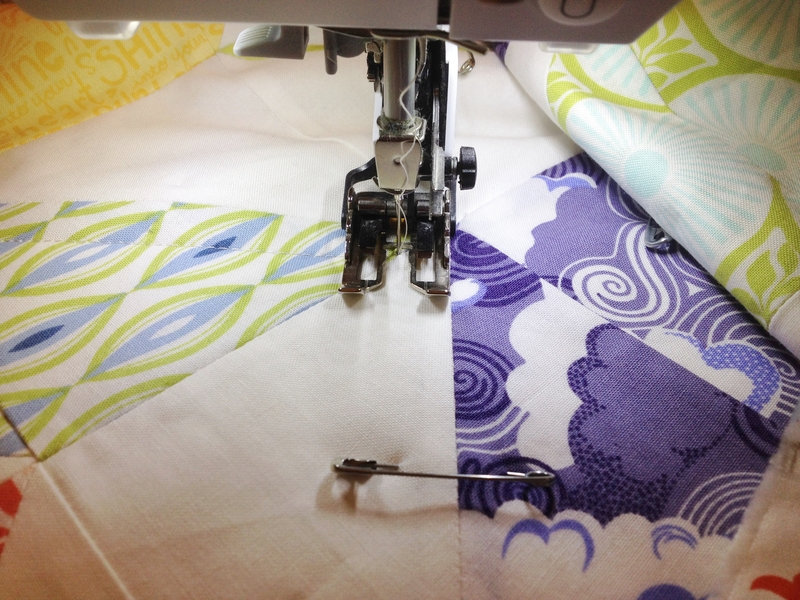 I am cutting the neutral fabric for this quilt, however, either I am doing something wrong – quite likely! – or perhaps the neutral amount specified is incorrect. The instructions call for 1.5 yards of neutral. 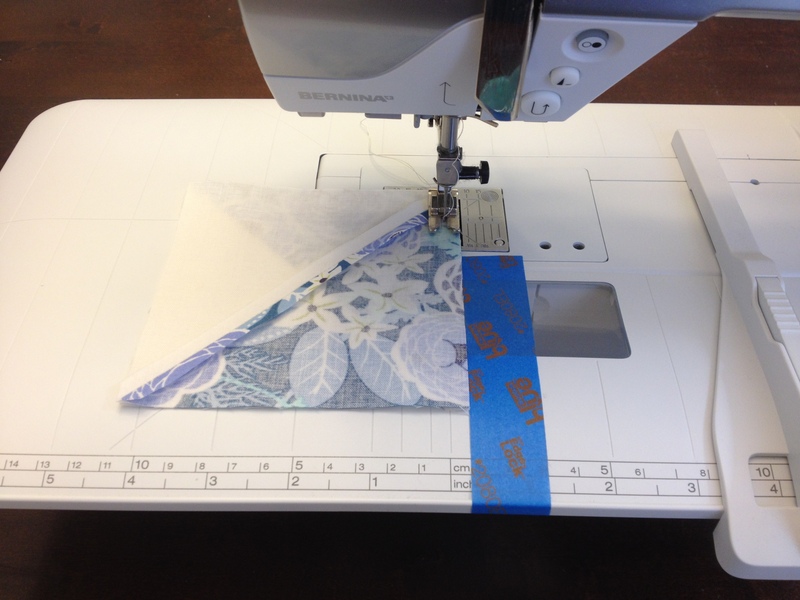 However, I am able to get only 11 five inch strips out of the 1.5 yards. 15 strips x 5” = 75” of fabric, which is a little over 2 yards. Am I looking at this correctly? Thank you! Hi Kim! Thank you for your comment. Goodness you are correct, that is my mistake….it is just over 2 yards. I will correct the tutorial. You are the first to point that out. I appreciate that! If you’ll send me your mailing address in an email, I’ll send you a charm pack for being so sweet and letting me know. My email is chellesquilts@yahoo.com. Thanks again! It is so kind of you to offer the charm pack, but that’s okay. Mistakes happen. Thanks for letting me know! 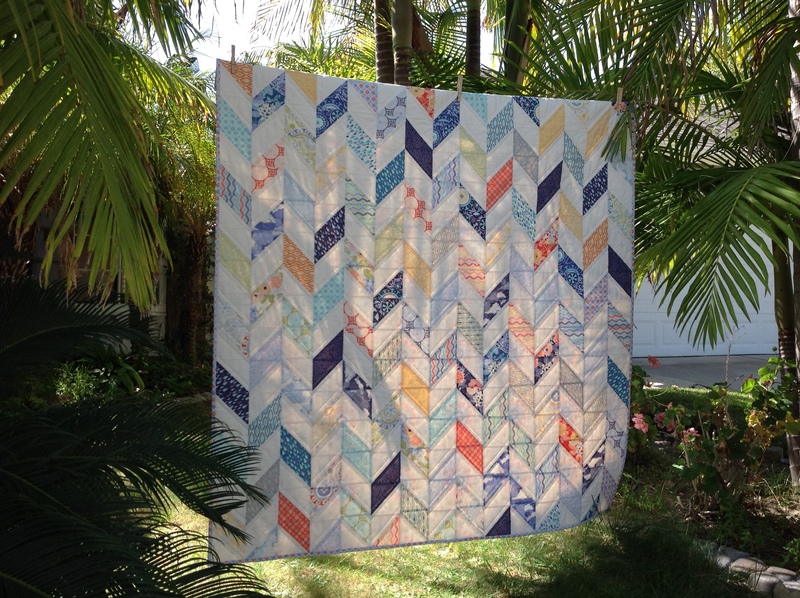 I’ve had your tutorial bookmarked for a while because you make it look so easy (I’m a beginner), and I look forward to making this quilt. Thank you! 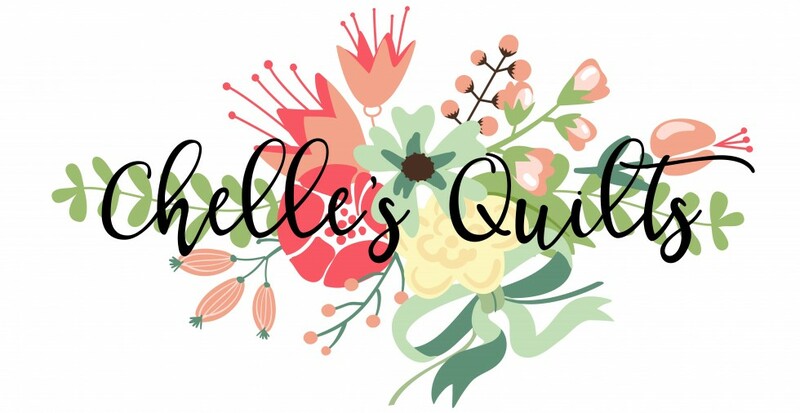 Hi admin, do you monetize your chellesquilts.com ? 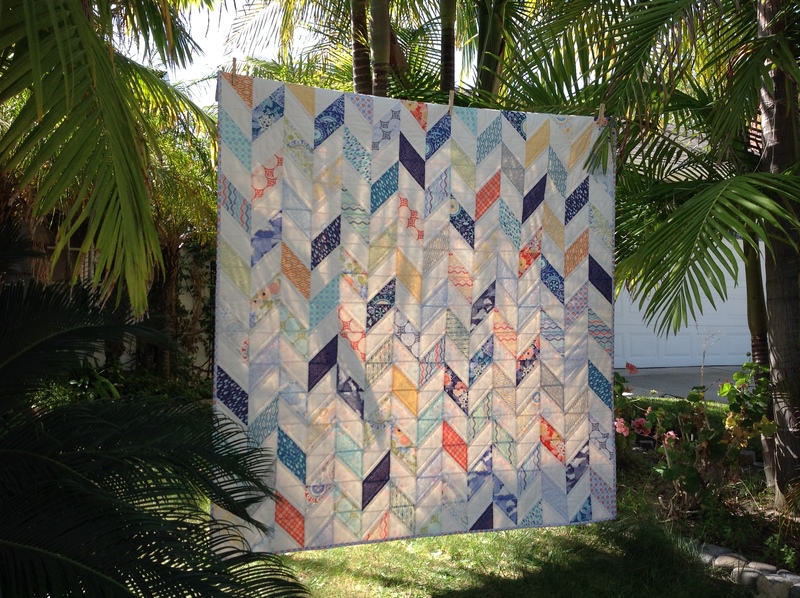 Do you have a free pattern for this quilt? 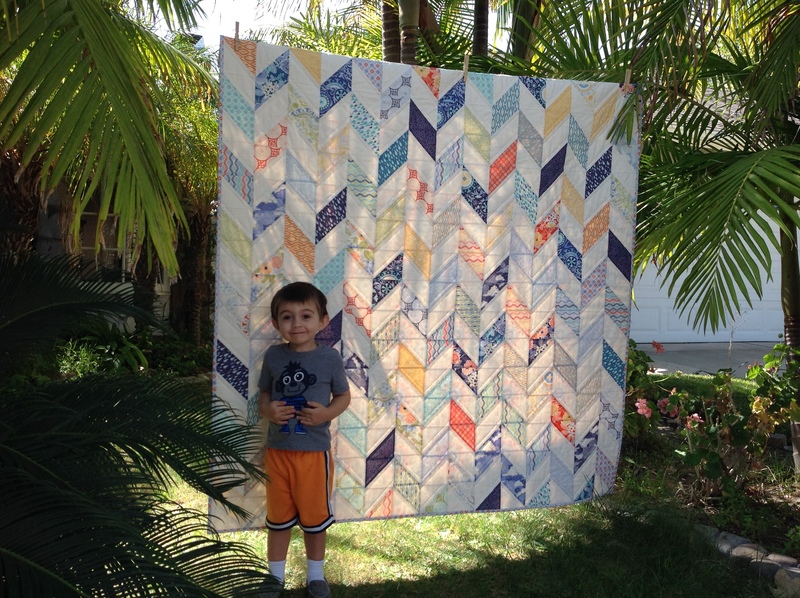 I would like this quilt pattern in king size…do you offer an online pattern for a king size….or know where I could? Hi Norma! Thanks for checking out my blog post! Unfortunately I do not have a pattern for king size. But you could easily add rows to get he size you want. 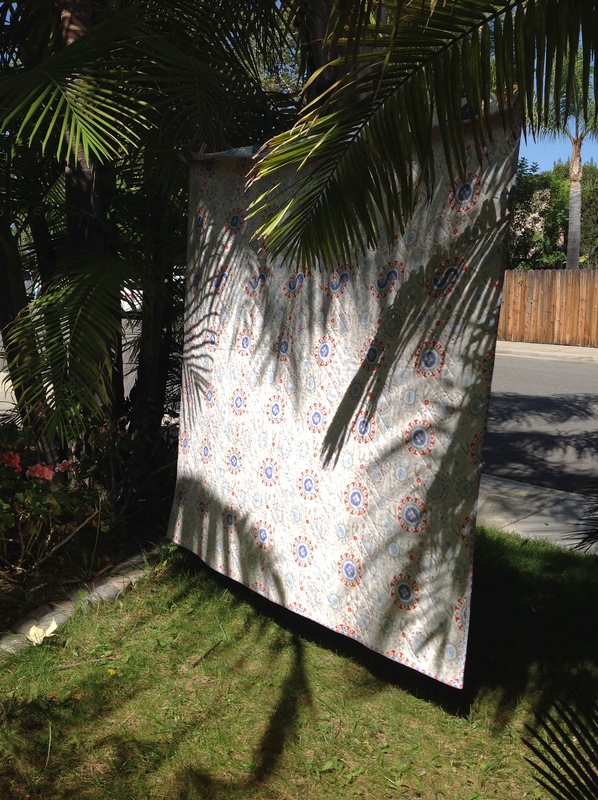 King size quilts are generally 95-100” in length and as wide and you like the hang. 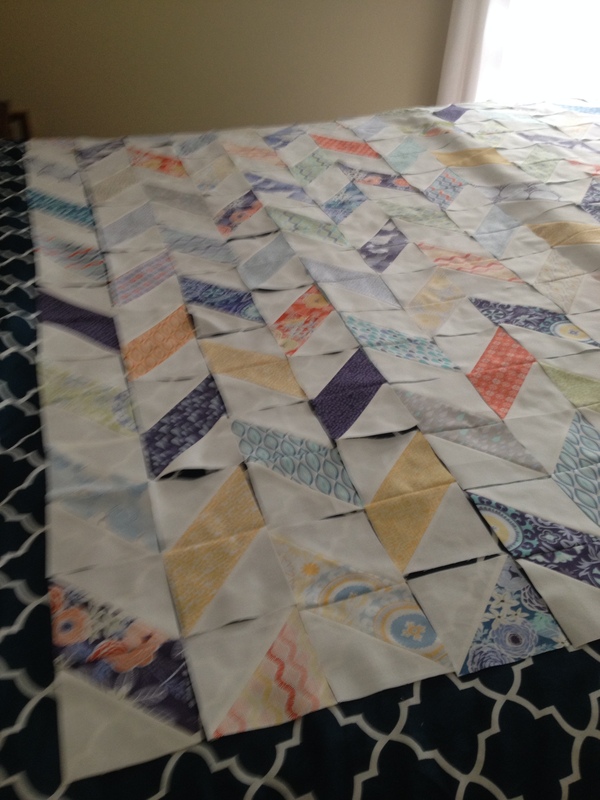 When I’m sizing my quilt patterns I just add the number of rows the get it as long as wide as I want it. I hope that helps.